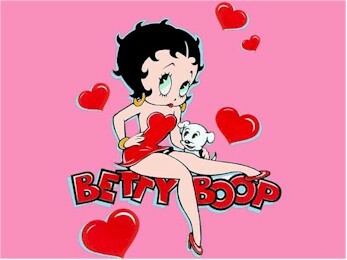 I just discovered a Youtube video which gives a short history lesson about Betty Boop. Click here to watch it. Yup, that particular cartoon was titled Grampy's Indoor Outing, and it is on YouTube. Many Boop 'toons are there, including this and other ones where Pappy puts hit "Thinking cap" into play. I recall a particular cartoon... Betty and her friends were planning a day at the carnival, but a thunderstorm prevented them from going. But Grampy had a brilliant idea (as evidenced by the light bulb on his hat lighting up). He used the apartment house's rooftop clothes lines, I think, to create a big umbrella/carousel, and converted the building's fire escapes into a roller coaster. Cartoon characters were always so resourceful! Anyone else remember that?